[miningmx.com] – THE South African Communist Party (SACP) has accused mining bosses of flirting with the Association of Mineworkers & Construction Union (AMCU) and other unions in an attempt to fragment Cosatu to which the National Union of Mineworkers belongs, Business Report said. “It’s no secret that it was in the platinum sector that the offensive against labour by the mining houses and the attempt to undercut NUM . 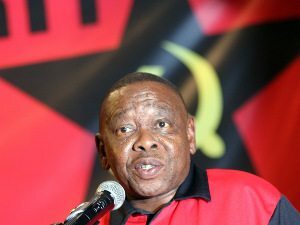 was first felt,’ said Blade Nzimande, SACP boss.